Sources for items used on this table. Placemat and charger, Pier One. White dinner plate, Tai Pan Trading. 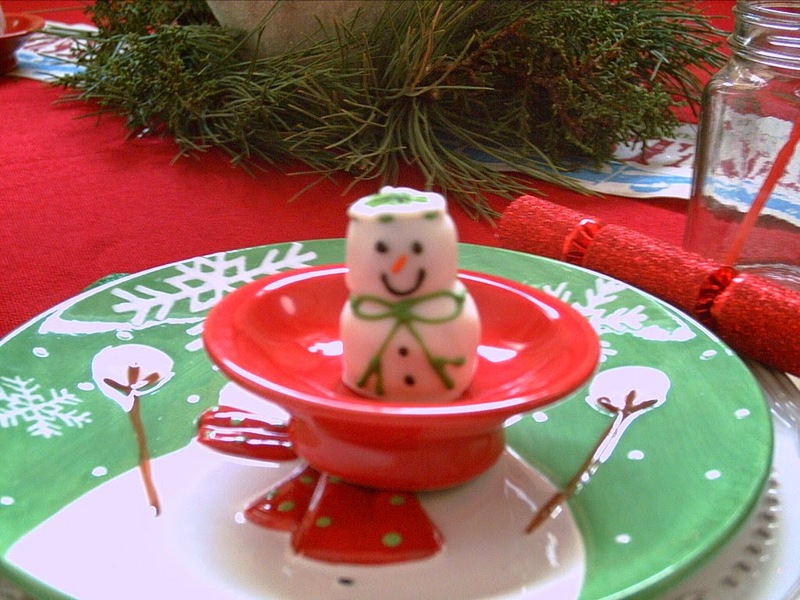 Snowman plate Pier One online (green version only available online). Runner and Snowman Truffles, Thanksgiving Point Emporium. 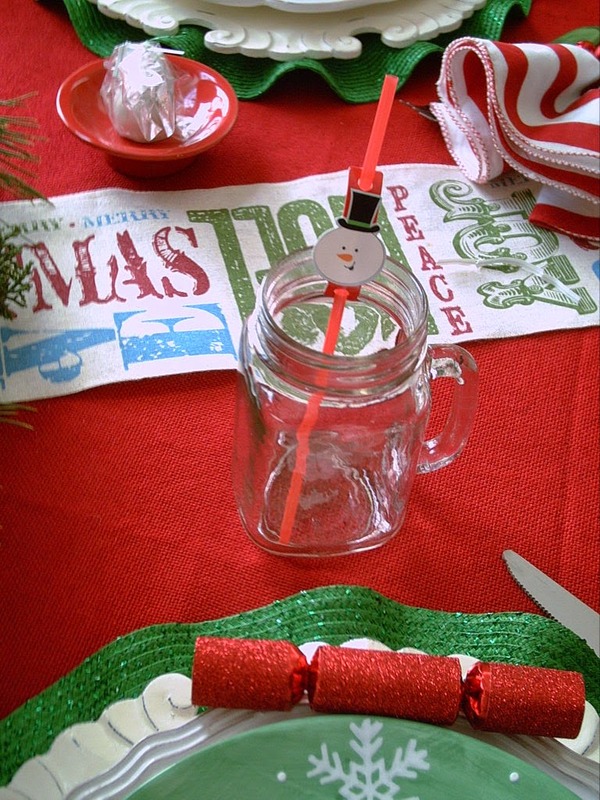 Glasses and straws, Dollar Store. Green flatware, World Market. Snowman centerpiece, Costco. Red cupcake pedestals, Crate & Barrel. Red burlap tablecloth a small boutique and floral shop called Blooming Sales. 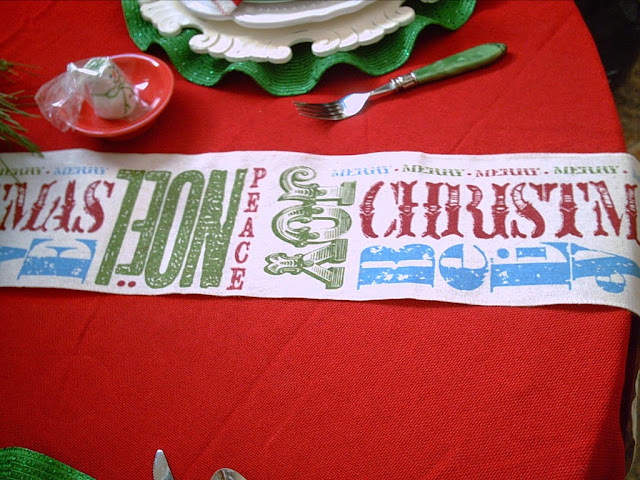 I thought this narrow 6"wide runner went so well with the Christmas cheer this table brought us. 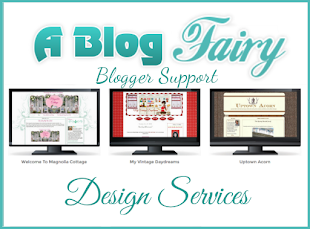 It has all the colors I used in my tablescape. Red, Blue, and Green. 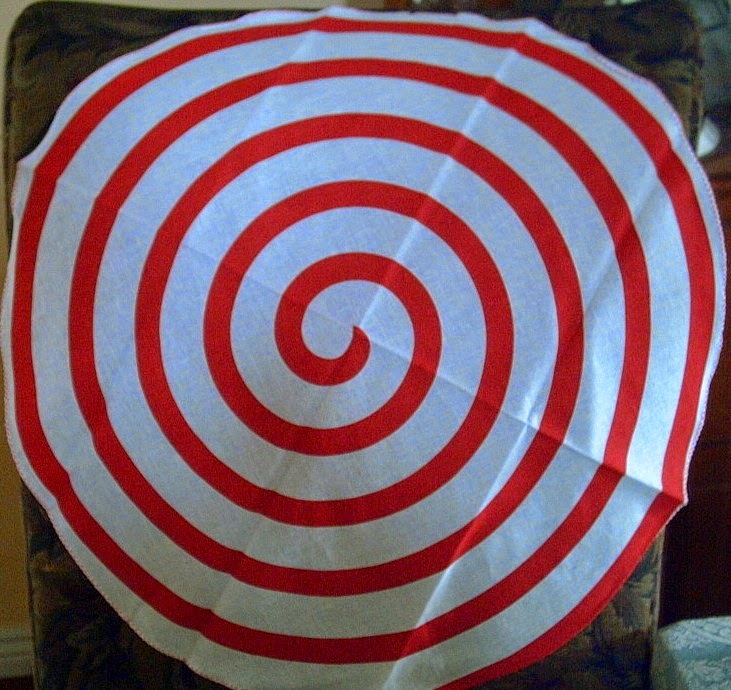 Striped napkins from Pier One. Have you ever seen round napkins? I through they were adorable! Photo below shows the napkin unfolded. What a clever stripe design. Just be careful not to be hypnotized by it! Snow has arrived. Great day for making a Snowman. 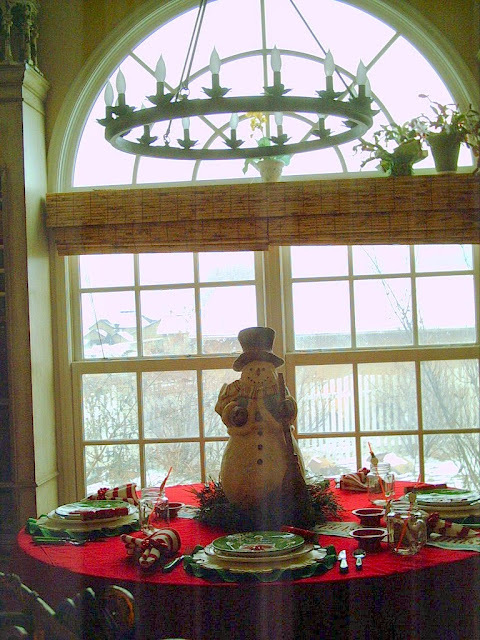 Happy Snowman Tablescape. 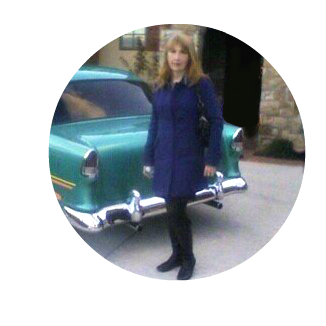 Please feel free to make a comment. 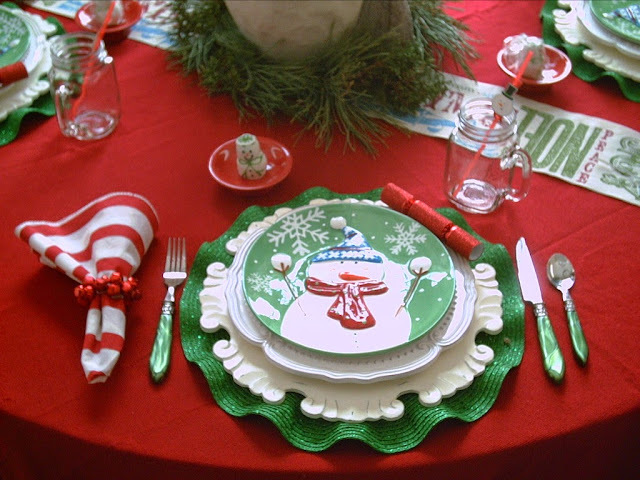 Valerie, your snowman tablescape is so cute. 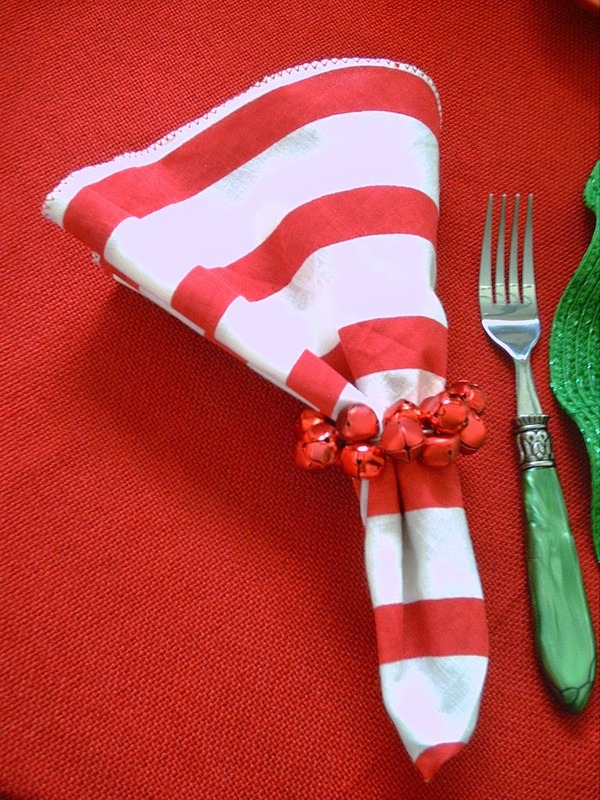 Love the green, especially with the red and white striped napkin. I ♥♥♥ this table...it has lots of green that really pops against the red! Round napkins?, wow...need to check them out. 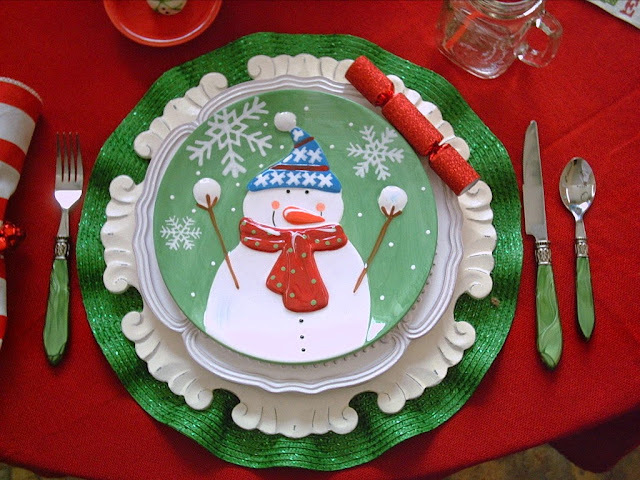 I read about your snowman tablescape over at Linda's and thought I'd pop by and check it out since I am a huge fan of snowmen. 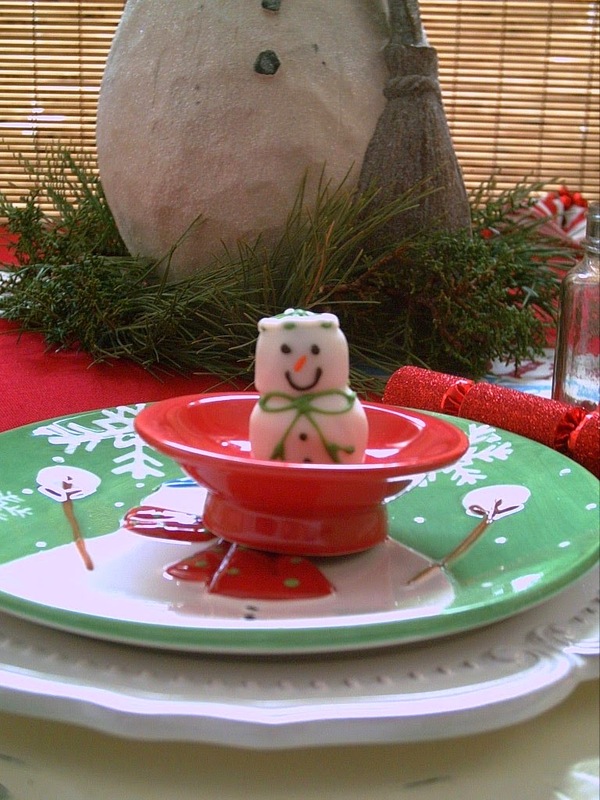 Love snowmen :-) Your tablescape turned out adorable. Love it. Valerie, I love your cheerful snowman table. The snowmen salad plates are super cute! And your centerpiece is perfect with the snowy background scene through the window behind the table. 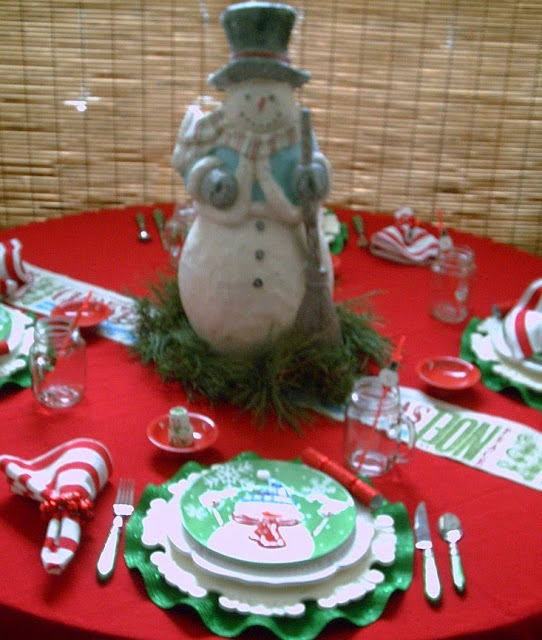 Valerie love this Snowman table I think the round peppermint napkins are to die for I wish my Pier one had carried them they would have been perfect in my peppermint themed table.This is such a nice table. how lucky you have snow do you think it will last thru Christmas?